Here's where to watch every episode of Rawhide season 2. Mouseover or tap an episode to see where to stream it. Click or tap the play icon to stream it on the best available service. Incident of the Day of the Dead Sep 18, 1959 Rowdy goes to town to pick up the mail for the men and stops a runaway horse. Luisa, a rancher, sees it and tries to get Rowdy to come and work for her. Incident of the Roman Candles Sep 25, 1959 Pete and Quince find young Davey Colby who says Indians killed his father and grandfather and carried off his mother. He is trying to reach his uncle in Eberle. Favor doubts his story. He hasn't heard of any Indians in the neighborhood. The Kimble County Sheriff tells Favor, there are no Colbys in Eberle and no Indians within 100 miles. Favor tells Pete some kids just find it easier to lie. Davey says he ran away from home to find his father, a bounty hunter. Favor tells Pete to take him home to his mother. After a couple of unsuccessful escape attempts, they ride up to Davey's home. The door is locked. Davey knocks. A woman answers and says she's never seen Davey before in her life. Pete says he understands and turns to leave. He gets a rifle leveled at him. Inside is Bodie whose knee was shot by Davey's father Sam. Bodie, Mooney and Harv are lying in wait for Sam to return home. Incident at Dangerfield Dip Oct 9, 1959 When a delusional old man attacks the passing drovers, his daughter-in-law enlists Gil & Rowdy's help with the powerful ex-boxing champ. The Marshal who made the town safe, is now drunk on his own power, enforcing petty rules to keep the tiniest semblance of trouble out of his jurisdiction. Factoring heavily into the situation is that the daughter-in-law is exquisite and widowed. 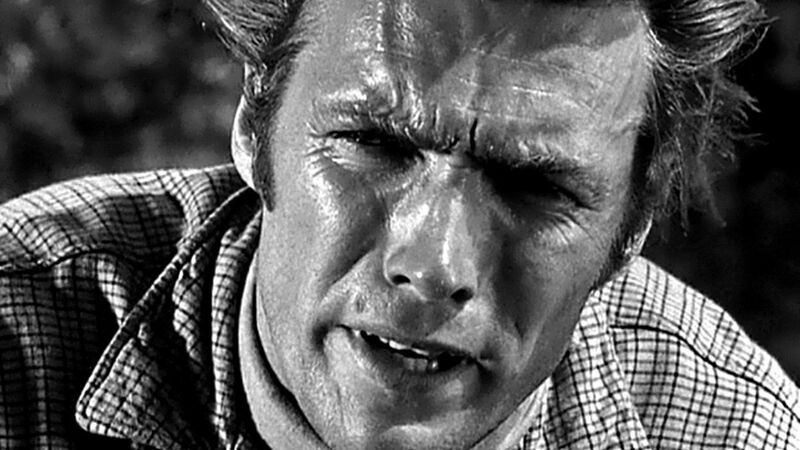 Incident of the Shambling Man Oct 16, 1959 Rowdy is saved from falling down a well by a woman. Later, the woman's family and friends had to manage to steal the drovers' horses. Incident at Jacob's Well Oct 23, 1959 Favor and Rowdy are unwitting dupes to Rose Whitman's plan to get her expugilist father-in-law committed. Rose gets Harry riled up by calling him a coward and having him recall his last fight. The townsfolk like Harry and he's on his best behavior in front of the judge. He's not committed. The brother of the Marshall who cleaned up the town, comes to Rose with a plan to get Harry riled up in front on the townsfolk. Incident of the Thirteenth Man Oct 30, 1959 Mr. Favor is stuck in a house, because the owner of the house is attacked by some men. Incident at the Buffalo Smokehouse Oct 30, 1959 Wish has a toothache. He and Rowdy ride into Blanton to see Gene Matson surgeon, dentist and undertaker. Wish and Rowdy get impounded for the jury of the murder trial of Matson. He is accused of killing Sean O'Riordan, the indian agent. Incident of the Haunted Hills Nov 13, 1959 Gil shoots and wounds a puma while while out scouting for the cattle drive. The puma escaped and kills the young son of a local rancher's widow. Gil and the guys go on the hunt for the puma along with a friend of the widow (Cesar Romero) who also happens to want to kill Gil because he's jealous of the attention the widow shows Gil. Incident of the Stalking Death Nov 20, 1959 Driving a herd through Cheyenne country, Favor finds out some of his hands may have hired on for more than just the beeves. There is a large reward being offered for a white girl who has been missing since she was a small child. Incident of the Valley in Shadow Dec 11, 1959 Favor wounds an oversized puma that killed a steer. The wounded puma kills the nine year-old son of Marguerite Colinas. She blames Favor. Ben Teague wants to marry Marguerite. Ben, Favor and Wish go after the puma. Ben sees Favor as competition for Marguerite. Favor has to keep one eye out for the puma and the other for Ben. Incident of the Blue Fire Dec 18, 1959 Pete has been gone two days. Rowdy has been out looking for him. Pete returns and says there is 80 to 100 Cheyenne ahead. Pete jumps Dagget, a man Favor hired Pete says he's a bounty hunter. Another bounty hunter teams up with Dagget. He shows him an $8000 reward for Nancy Curtis a girl captured by the Indians. Someone posts the reward poster on the chuck wagon. Favor checks on twelve missing steers. He meets Manso, Cheyenne chief whose come to pay for them. Manso leaves and is captured by Dagget. Favor has him released. Favor takes an arrow in the shoulder. He is taken to Manso's camp. There is blonde haired, fair skin Winoka. She shows Favor a locket with ""NC"" on it. Favor is determined to return her to her birth family. Manso says she is Cheyenne now. Incident at Spanish Rock Jan 8, 1960 A storm with lightning is making the herd nervous. The blue fire of St. Elmo appears on the horns of the steers. Hey Soos says if a stranger should appear, he stops and blesses himself, death will follow. A stranger, Lucky Markley rides in. A clap of thunder and the herd stampedes. Rowdy turns the herd. Lucky says he has thirty some head to sell. Favor says he can't use any scrub cattle, but he'll look at them. Favor says no. Lucky says there is about two dozen Commanches around. Hey Soos says Lucky is the devil. A brave kills a steer the demands Lucky's horse. The Commanches line the ridge. A young buck comes out to talk. He wants the killer of his brother, ten steers, sugar, rifles and tobacco. Lucky offers Favor to leave. He was killed in a stampede. Hey Soos pulls a knife on Lucky. Collins takes over the fight. Rowdy tells Lucky to get out. Incident of the Druid's Curse Jan 15, 1960 Favor, Rowdy and drover Lou Paris find themselves in the middle of a smallpox epidemic in Red River Station. The town's doctor wants to vaccinate the populous. The barber/dentist relies on acifidity bags, leeches and herb tea. Favor tries unsuccessfully to get vaccine from the army. Incident at Red River Station Jan 22, 1960 Professor Lismore and his daughter Mave have come to Texas from Boston to look for rumored Druid stones. Favor tells Jim Lark, who tried to force his intentions on Mave, to draw his pay in the morning. Lark and two other drovers hear the Professor speak figuratively about the value of finding the stones. The three draw their pay. They kidnap the Professor and Mave. They go about trying to force the Professor to disclose the location of the ""treasure"". Incident of the Devil and His Due Jan 29, 1960 Favor, Rowdy and drover Lou Paris find themselves in the middle of a smallpox epidemic in Red River Station. The town's doctor wants to vaccinate the populous. The barber/dentist relies on acifidity bags, leeches and herb tea. Favor tries unsuccessfully to get vaccine from the army. Incident of the Wanted Painter Feb 5, 1960 Wishbone buries his brother "alive" to keep Kiowas from killing him for romancing the stony chief's wife. T.J. turns out to be a comical embarrassment: a pot fixer whose customers fight to scalp him for his shoddy tinking, which is his ploy for woman chasing. For years, trail cook Wishy's fellow drovers heard the cook laud his misplaced little brother's prowess as a warrior, politician, you name it. But angering the Kiowa at the moment is deadly serious, because the tribe is divided over signing a treaty. Young braves oppose old Chief Wankawa inking the doc. Incident at Tinker's Dam Feb 19, 1960 An embittered mustanger known by Gil Favor in his younger days blocks the pass that the herd needs to use to reach a river ford where they can cross safely. The mustanger is haunted by a fierce stallion who killed his son, once a friend of Favor. Incident of the Night Horse Feb 26, 1960 An outlaw usurps a dead man's identity and he is heading for the next town along with the drovers. When Rowdy gets in the middle of his business he finds himself in serious trouble and it is up to Mr. Favor to figure out a way of saving him. Incident of the Sharpshooter Mar 4, 1960 The drovers rescue an injured traveler and his grown daughter, who is sensitive about her unmarried status. The woman flees, but scout Pete Nolan locates her. Upon learning that she can't face patronizing relatives in the town she's moving to, Pete decides to accompany her there and pose as her fiancé. Incident of the Dust Flower Mar 11, 1960 A posse gives up looking for two outlaws, Vance and his partner. They come upon the body of a lawyer ambushed by indians. Vance decides to pose as Jonathan Williams attorney at law. Incident at Sulphur Creek Mar 18, 1960 It looks like the drovers are moving smoothly until they find a very slow moving wagon on their way, allegedly carrying champagne. As it turns out it was not only champagne and everyone could be in danger. Incident of the Champagne Bottles Apr 1, 1960 A woman gets off the stage expecting to meet her husband. But she was let off in the middle of nowhere, a good 30 miles from her home. Pete decides to help her get there but when they arrive, she recognizes everyone except her husband. Incident of the Stargazer Apr 8, 1960 When the son of a gypsy queen is murdered, she insists one of the drovers did it and demands the killer be found and turned over. Gil rebuffs her, prompting the old woman to predict trouble for the drive, which does start to happen. Incident of the Dancing Death Apr 22, 1960 The owner of a remote trading post and his wife are coerced into backing a rustler's scheme to get the drovers drunk, swipe the herd and sell the beeves to hide skinners. Incident of the Arana Sacar Apr 29, 1960 While taking a mountain short cut, Wishbone is injured in a fall caused by a bullying ore freighter. He seeks aid in a small mining town, where he becomes attached to a widow, who is the freighter's fiancée. Incident of the Deserter May 6, 1960 Hey Soos goes to town to visit his mother but, while buying supplies to take to her, he is attacked as the town believe his mother is a witch who has cursed the town. Incident of the One Hundred Amulets May 13, 1960 A steer with the word "MURDER" branded on its side, considered an omen of violent death, is seen shortly after four mysterious riders from the same town join the drive. Incident of the Murder Steer May 20, 1960 Hey Soos's mother, Rosa is branded a witch, and blamed for the lack of rain and an eclipse. Incident of the Music Maker Jun 3, 1960 A young girl is so shocked at her father's murder that she can not speak. She is taken captive by two escaped convicts. Incident of the Silent Web Jun 10, 1960 Anton Zwahlen is buring his wife Freida. He asks to travel with the herd for a couple of days. He offers to oil everyone's guns. What he does is file down all the firing pins. Anton's relatives come and take 50 head of cattle. Incident of the Last Chance Jun 17, 1960 Jeannie watches from a distance as John Taggert kills her father Henry and leaves. An ex-con comes and takes Henry's clothes and catches Jeannie. He passes himself off as Henry and his little girl, Carie who doesn't speak.